PROJECT SUCCESSFUL - 1046% FUNDED! Currently, we are investigating all sorts of dice options and finishing final tweaks to various graphics components. We also have an updated rule book and event card wording that we will be sharing soon. I'm off to bed now but thanks again to everyone for your support! 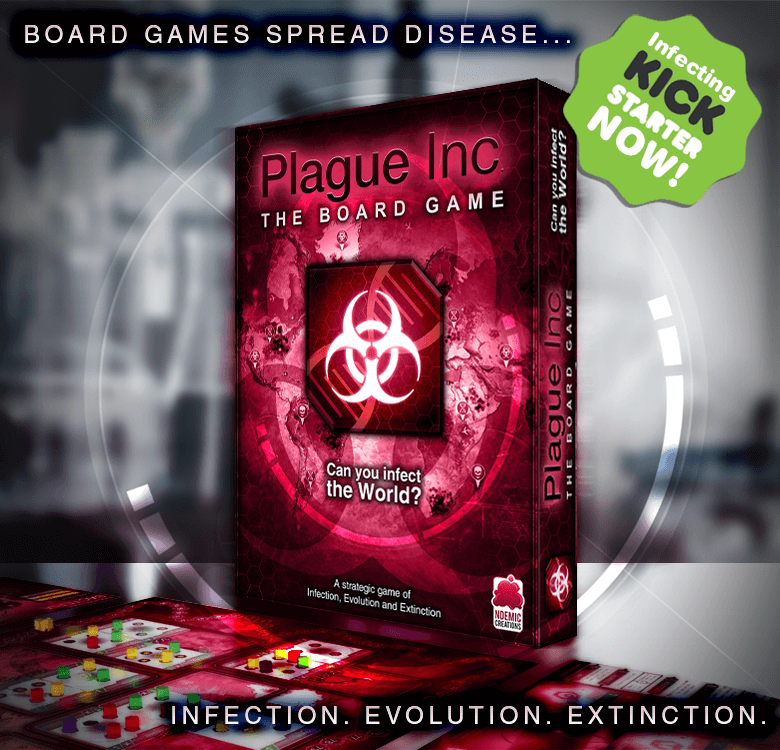 Plague Inc. Mutation 11 out now! 'Mega' Mutation 1.8 goes live!